Thank you for your support! 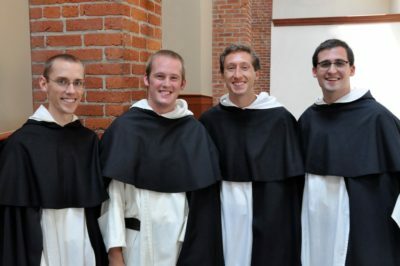 It goes a long way in educating future generations of Friars who carry on the mission of the Order of Preachers, now thriving for 800 years. Keep us in your prayers as we shall do the same! You should receive an email acknowledgement for your generous gift. If you do not, or if you have any other questions, please contact our office at (212) 535-3664 or email us at df@dominicanfriars.org.